To learn more about Emanuel and his current needs, click on the YouTube video link in the “My Links” section of this page to watch a video about him. We are writing on behalf of Emanuel Torres (18), a young man from the San Diego area who had a spinal cord injury in August 2012. 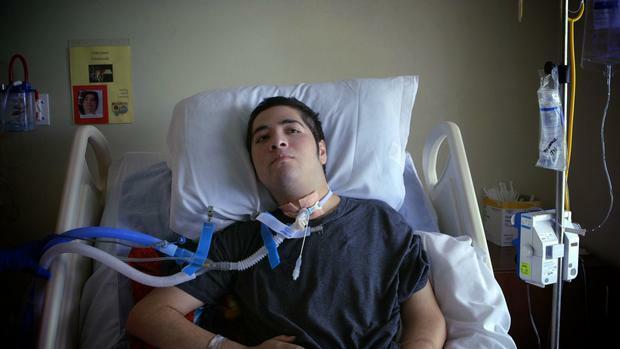 He is a quadriplegic and is dependent on a ventilator for breathing. He requires 24 hour care and must use a power wheelchair for mobility. Currently his home is not wheelchair accessible and requires extensive modifications before he can return home. Emanuel remains hospitalized at Rady’s Children’s Hospital in San Diego until he can go home. Emanuel’s family has been very involved in his care. His mother has been caring for him daily at the hospital, which is 40 miles one way from their home. Her absence has impacted the rest of the family which includes Emanuel’s father, 2 sisters and twin brothers. Emanuel’s return to his home would allow his mother to continue to care for him and spend time with the rest of her family. Once home, Emanuel’s goals include completing his high school education and pursuing college and a career. Emanuel enjoys reading, music and history. He has a great sense of humor and loves to talk with people and will often sing a song or two for you. When Emanuel returns home, he will need a modified accessible van. When traveling, Emanuel will require equipment that is bulky and heavy. He needs to remain in his power wheelchair and cannot transfer to a regular car seat. A wheelchair accessible van is essential for him to leave his home to attend medical appointments, return to school and social activities with friends and family. The Torres family needs your help to bring Emanuel home so that once again they can be a family and Emanuel can move ahead with his life. For credit card contributions, select the DONATE NOW button or call 800-642-8399. Rehabilitation Care Coordination is a company who provides case management services to individuals with disabilities. We have voluntarily been involved with Emanuel’s care coordination at the request of his physician to assist Emanuel and his family in preparing for his return home.